Does your Anime OTP reflect the relationship te are currently in/want? Have te ever shipped a couple without watching the show? Who is your preferito unofficial couple? Your preferito Anime / manga couple is a / an _______ pairing. [Dragon Ball Z] Which couples do te like better? Have te ever shipped an Anime Couple that never happens to be a canon? Have te seen Skip Beat? If so were te a KyokoxRen fan o KyokoxSho Fan? Do I Amore him ? Does He Amore me ? Is that alright ? Isnt that wrong? So many domande becuse of one guy. Why, why me? Even though I broke up with Light and I dont have any feelings for L (till now),why does my cuore hurt when I see him, why does it hurt when I see L?? Do I have feelings for him, and if does he have feelings for me?? P.S. I also like many other Anime couples,but these are my superiore, in alto 10. If I'm missing any spots, then please add them in commenti and I'll modifica this articolo to include them! 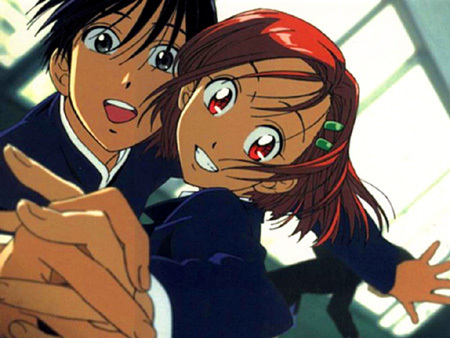 a comment was made to the poll: Does your Anime OTP reflect the relationship te are currently in/want? What songs matches your preferito Anime couple?